The varsity wrestling team finished in 1st place at the SCVAL wrestling championships at Lynbrook HS. The Cats scored an amazing 277.5 points in route to their first league championship since 2010. Los Gatos had 9 wrestlers in the finals with 4 individual champions. The Cats filled every weight class with the exception of the 106lbs. division. 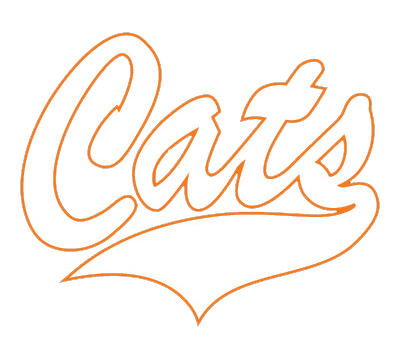 Los Gatos qualified all 13 wrestlers to the CCS Championships next Friday and Saturday at Independence high school. The Cats recorded a staggering 22 falls out of 44 matches wrestled. In addition to the outstanding performance at the end of season tournament the Cats also finished the year a perfect 7-0 in De Anza Division Duals which was also a first since the 2010 season. Below are the results for the varsity and JV tournaments. Linus Blom (22-8) placed 1st and scored 30.0 team points. Jordan Phillips (27-14) placed 1st and scored 28.0 team points. Markie Murabito (26-15) placed 2nd and scored 19.5 team points. Nickolas Rusinek (21-17) placed 4th and scored 18.0 team points. Claytan Murabito (23-8) placed 1st and scored 29.0 team points. Benjamin Hernandez (23-17) placed 4th and scored 15.0 team points. Sammy Fulton (4-1) placed 3rd and scored 16.0 team points. Sam Long (18-8) placed 1st and scored 28.0 team points. Thomas Mailhot (28-13) placed 2nd and scored 21.0 team points. Andrew Leung (21-16) placed 2nd and scored 19.0 team points. Taras Pridka (22-17) placed 2nd and scored 20.0 team points. Spencer Bryan (3-1) placed 3rd and scored 14.0 team points. Michael Wiley (26-7) placed 2nd and scored 20.0 team points. Viveca Pannell (8-11) place is unknown and scored 0.0 team points. Arianna Contaldi (1-2) place is unknown. Haripriya Bhattaru (2-2) place is unknown and scored 5.0 team points. Hein Schroder (1-2) place is unknown. Romie Sklar (13-7) place is unknown and scored 7.0 team points. Veloria Pannell (12-12) place is unknown. Nathan Deleon-Pusich (4-0) placed 1st and scored 26.0 team points. Brady Conlisk (24-3) placed 1st and scored 25.0 team points. Adam Moore (11-2) placed 5th. Michael Rocha (19-10) placed 1st and scored 24.0 team points. Ryan Folsom (8-11) placed 6th and scored 9.0 team points. Eli Stephens (1-2) place is unknown and scored 2.0 team points. Jack Gray (2-2) placed 4th and scored 16.0 team points.